The most exciting thing about any new Sonesta hotel opening is that it’s really two openings in one. As the doors to the new Sonesta Hotel Bee Cave Austin open this summer, the kitchen and lounge at their new restaurant, Meridian 98, will also debut its innovative menu. With an exciting selection of dishes and drinks, it will become a mainstay among shoppers at the adjacent Hill Country Galleria. But the hotel is also sure to become the place for catered meetings, banquets and events that you might otherwise have gone to Austin for. Executive Chef Patrick Newman is excited to spearhead the food and beverage direction for the hotel and restaurant. Raised in Louisiana, Chef Newman graduated from Johnson & Wales University in 1999 with a degree in Applied Science in Culinary Arts. He will oversee the menu creation and beverage selection at the restaurant, and the banquet and event menus for the over 10,000 square feet of meeting and event space with spectacular views of the Hill Country. Guests will enjoy locally sourced regional cuisine and an extensive Texas cocktail, microbrew and wine menu. 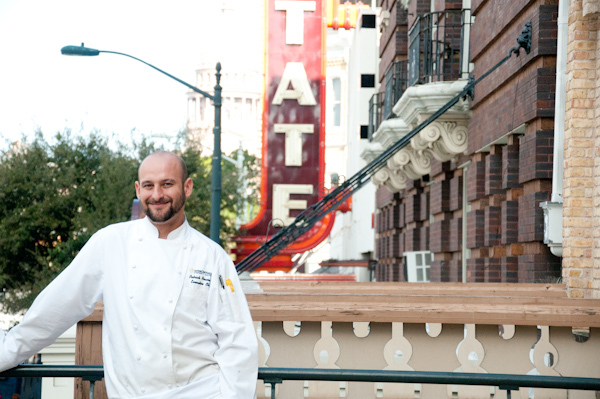 Prior to his appointment, Chef Newman was the Executive Chef at the Intercontinental Stephen F Austin, and Executive Sous Chef at the 485-room InterContinental Houston at the Galleria. In addition, he’s held a variety of culinary positions including Chef de Cuisine to open the Hilton America in Houston, Texas; Executive Sous Chef at the Hotel Monteleone in the French Quarter of New Orleans; and Executive Sous Chef at the Four Diamond Mills House Hotel in Charleston, South Carolina. “The best Texas cuisine is bold in flavor, a little daring and always sourced from local farms,” he said. 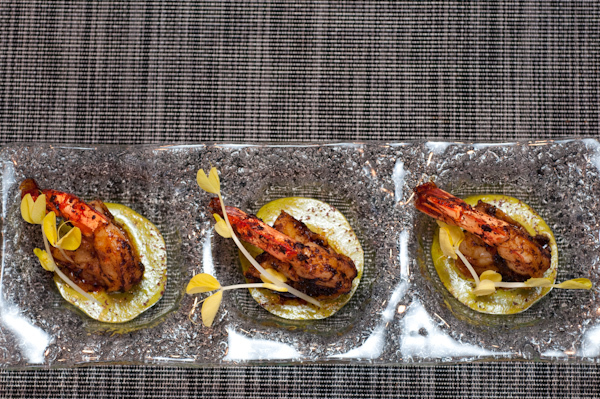 “I look forward to sharing my creations with our guests.” Here is one dish that just might show up on the menu at Meridian 98 when the hotel opens this summer. Combine shrimp and next 4 ingredients in a large bowl; cover and chill 1 hour. Arrange the marinated shrimp on a greased jelly-roll pan. Bake at 500° for 5 to 6 minutes or until pink. Preparation: Combine all ingredients in a blender or food processor; process until smooth.